I came across a recipe for parsnips recently on a food blog that I enjoy reading, and it sounded too yummy not to try. I’ve never had parsnips before. They are a root vegetable and look like albino carrots. I noticed as I peeled them that they have a citrusy scent, almost like lemongrass. The boys were amazed and couldn’t wait to try them. 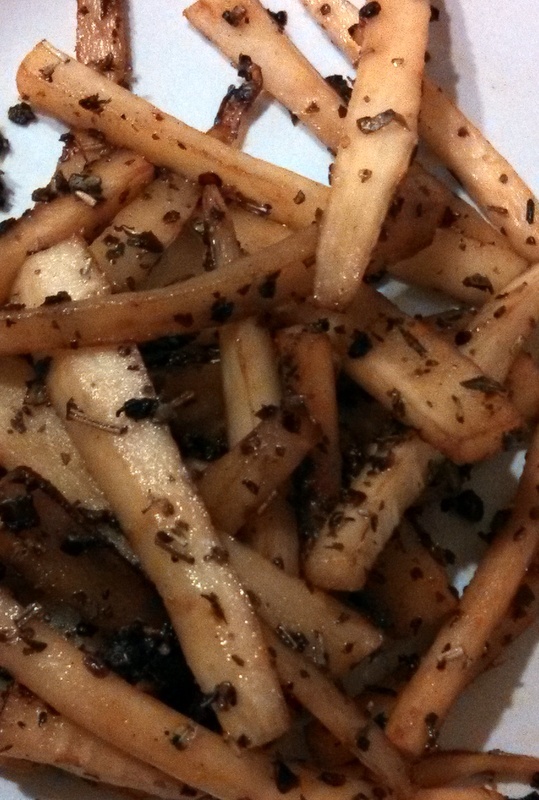 Christi Silbaugh’s recipe for Shoestring Garlic Parsnip Fries reminded me of the “SmashFries” that the boys and I love so much, so I tweaked it a bit and prepared the parsnips in a skillet with minced garlic, Italian seasoning and a dash of salt & pepper. The boys devoured every last one of them and begged me to buy parsnips again soon. I saved the cut-off tops from each root to soak in water, in the hopes that perhaps we can grow our own. In the meantime, I’ll try to splurge and get them again at the grocery store sometime relatively soon. They are more expensive than carrots; I think they were about $2.50 a bag, if I recall correctly. But, they sound like a great alternative to potatoes. For the main dish, I just fixed some bean soup, but it was a huge hit. Honestly, I was just trying to throw something together without have to go back to the grocery store on Thanksgiving week (no such luck, though, since I realized later that I still need a few things for my turkey brine). 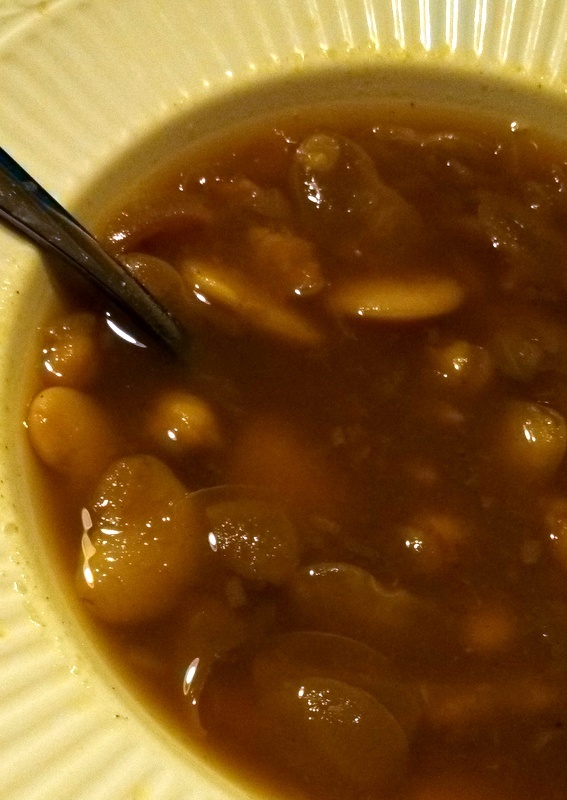 Anyway, I had a bag of lima beans and a half-bag of garbanzo beans that I soaked overnight and put in the Crock-Pot this morning with a frozen turkey neck bone and a packet of onion soup mix.